Earlier we reported that, Janasena Party Guntakal Candidate Madhusudan Gupta was arrested for damaging a voting machine. Not Happy with the polling staff for not displaying the names of the Assembly and parliamentary constituencies properly, he threw an EVM on the floor at a polling station in Gutti in Guntakal Assembly constituency of Anantapur district. Janasena chief Pawan Kalyan, however, defended Madhusudan Gupta. "How do we know who broke the machine?" he said, even though there's a video of Gupta throwing an EVM on the floor at the polling booth. 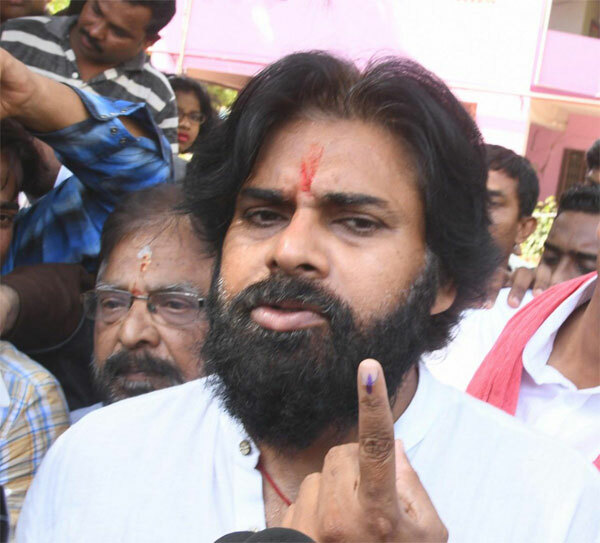 Pawan Kalyan has cast his vote in Vijayawada. Later while speaking to media, he said he wished to see peaceful polling all across the two Telugu states. “I wish to see all types of development in both the Telugu states. It has come to my notice that over 200 EVMs have malfunctioned in many places including Gajuwaka and the same has been brought before the Election Commission,” he said.